A while ago, I made a blog post about a popular derp map cp_orange_x3. I laid out a specific loadout that makes it quite easy to win. Well, here’s another one! Balloon race is a popular game mode where teams race to capture points on a circular donut-shaped map with plenty of map obstacles in the way. Every point captured increases your balloon speed, and the balloon is (supposed to be) the only thing allowing you to continue forward on the map due to large pitfalls between checkpoints. It’s a shame there’s no class designed to fly incredible distances without losing all of his health. Oh, wait, there is one. 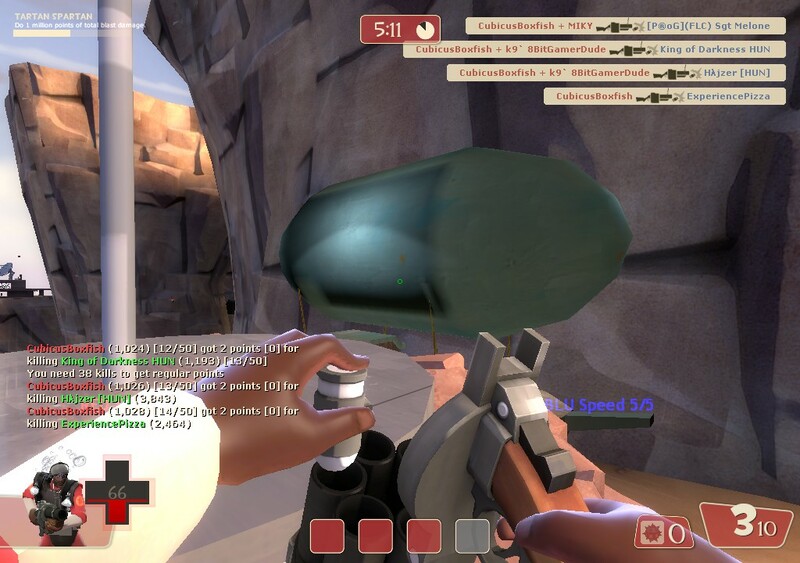 And its the exact same one that beat cp_orange_x3. Step one: As soon as the gates open, sticky jump to first. Largely straightforward. Place stickies (I found three to be the perfect number) right at the edge of the gate and fly to the first island, completely bypassing the ocean around it. If you trust your sticky aiming, use only two stickies and hit the water just in front of the island, remembering that holding space will cause you to glide across the water surface without losing momentum. With your pain train, you should have the point capped before either boat shows up. Your boat gets a speed boost! 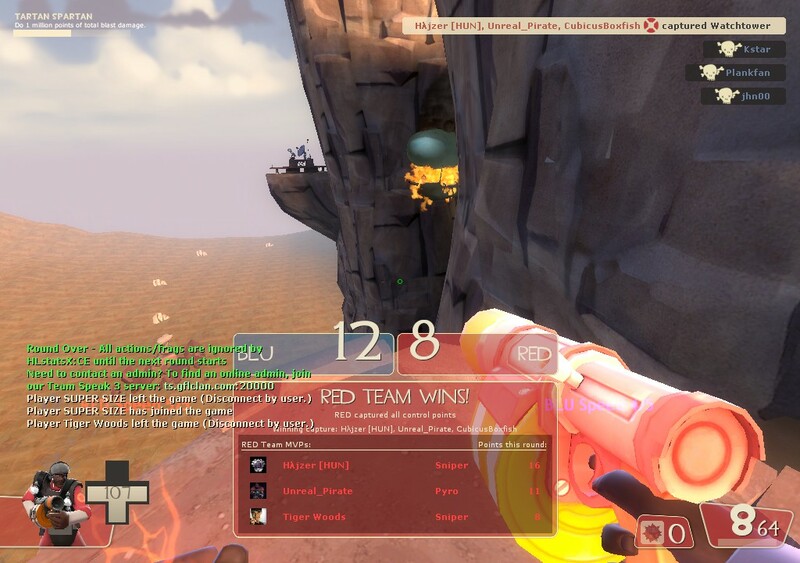 That BLU Pyro’s gonna mess me up. 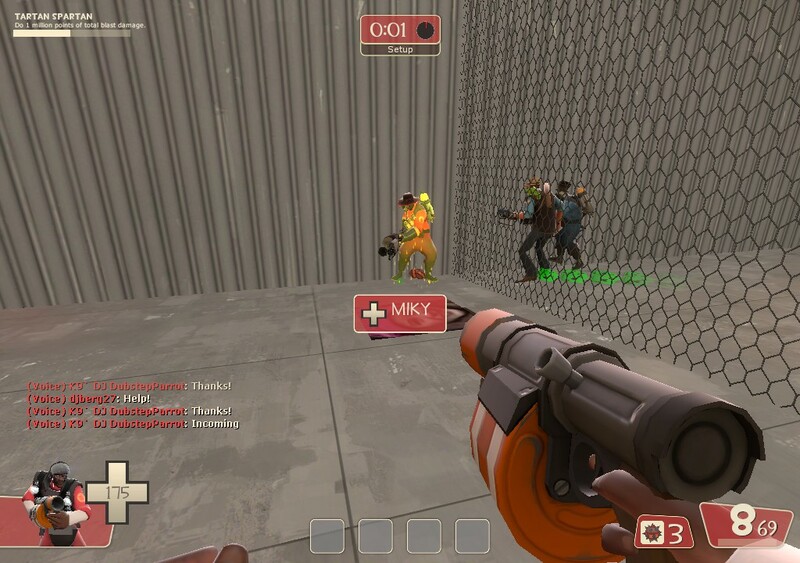 To prevent this, place your stickies somewhere further away from the wall, and wait until just before the doors open so the enemy doesn’t know your plan. Step two: Once capped, sticky jump through that tunnel in the cliffside. For whatever reason, the map designer felt like making it possible for nobody except Sticky Jumpers to reach the nest point ahead of time. I’m not sure why, but oblige him. Considering neither boat has even reached 1 yet, you should be okay. If you’re playing a version before balloon_race_v2, the giant hole in the cliff won’t exist, but you can still sticky around using the same route the balloons will be taking. Step three: Sticky jump to the next point on the platforms. This is the toughest jump, odds are you’ll fail it and then its a bit of a wait since you need to respawn and sticky jump back to 2 (or, if the non-balloon spawn exit closes after first cap, until your boat reaches 2.) Either way, your enemy’s fate should be sealed by this time so it’s academic. Reach 3 and cap it. Other steps: Just keep doing that. You should have the pattern down by now. Cap every point before anyone else on the map has had time to figure out what’s happening. On the off-chance you get the opportunity, the tower gives you a great spot to rain pipes on the upcoming enemy balloon. BUT what if the server has capping disabled until the boat arrives? Some servers prevent capping before the boat reaches the contestable station. What now? Well, your job is still relevant, if less gamebreaking. Depending on your team’s competence, you can help push the boat to first, or just sticky to first and be ready to cap the second the boat reaches. Then do the same thing as before; the edge you’re giving your boat should just keep stacking and make things a pretty safe (if closer) bet. If you die and the server has the non-balloon spawn disabled, you’ll have to practice weirder jumps because you’ll find yourself stuck on the boat often. Shoot the steering wheel at an extremely slight angle and use that, but be careful because the boat behaves like a spawn and the stickies become rollies. It’s fun. It’s fast. And it makes you feel unique in a gamemode where almost every non-sniper class plays the bogstandard same.